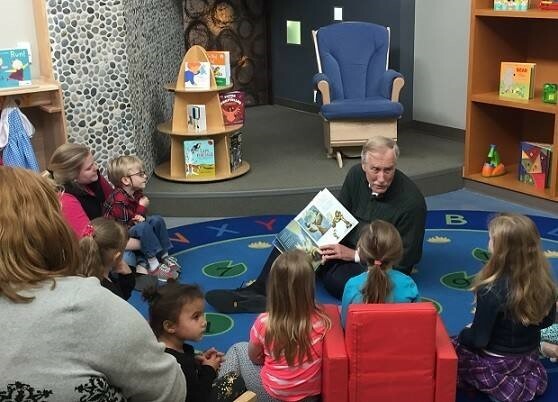 Educare Central Maine welcomed a visit from US Sen. Angus King, a strong advocate for young children and families, on April 19. Sen. King’s interest in early education and care brought him to Educare Central Maine to speak with parents and staff—and see quality early learning in action. The senator is helping to re-introduce the PACE Act, bipartisan legislation that would update the Child and Dependent Care Tax Credit. The goal of the legislation is to make quality early learning and care more affordable for low-income families. “The high costs of child care can make it difficult for many parents to balance the responsibilities of work with the responsibilities of their family. Some parents who want to work may even have to forego job opportunities to stay at home, or seek substandard care, because of these high costs,” Sen. King said. Visits like these are part of Educare’s commitment to being a platform for long-term policy change. Educare schools across the country are helping to strengthen public investments in high-quality, research-based early learning programs. Read the senator’s press release.